Whenever Al Sharpton comments on the racism of other people, I have to laugh. I was a child when Sharpton incited the racist, anti-Semitic Crown Heights riots that led to real bloodshed and violence, but the history is clear, and Sharpton is as big a fraud as any in today’s media. 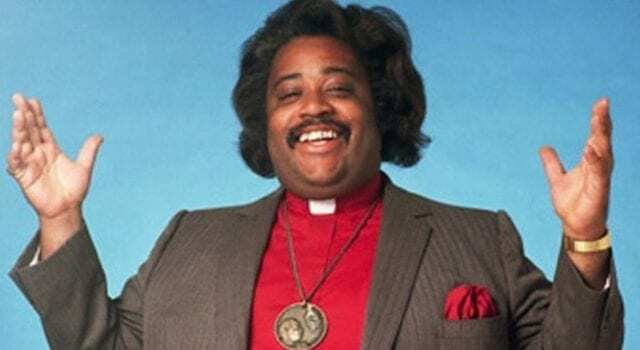 On Wednesday, the race-baiting fraudster appeared on MSNBC to attack President Trump as someone who symbolizes the racism that, according to Sharpton, is endemic in the North. I had hopes despite my fears, that he would grow into the presidency. I’ve known him 35 years, we’ve fought more than we agree, but we’ve had some areas where he supported Democrats … and I said that you grow. At various stages at my life I’ve grown. You try to prove to yourself you were better than people thought you were. He never left the Queens way. He and his father were sued for racial discrimination and who they would rent apartments to. So when you read him in The new York Times quoted by two sources saying, “All Haitians have AIDS,” “Nigerians won’t go home to their homes if we let them in the country,” it speaks of a man that we in New York knew at various times. The White House has denied it, but it is certainly out of the character of what he has said and done. … I think a lot of Americans look at civil rights and race relations in the South in the 60’s and miss New York in the 80’s, where you had many, many incidents, like Howard Beach and Bensonhurst and on and on, and they get away with it because they don’t want to talk about up north kind of problems. And Trump symbolizes that. Trump is as much a symbol of northern bigotry as you have others that were southern. Read the rest at: Sharpton the Racist! Previous articleIs Trump thining out the Federal Governments Human Resources? Next articleOBAMA Years – Full of Scandal and Deception!